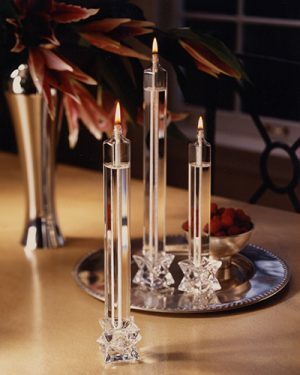 The dining table classic, our taper candles are handworked in crystalline glass to leave no wax tracks on fine linens! All designs are crafted with thicker walls than those fashioned from simple tubing. Comes with Instructions, lifetime fiberglass wicks and fill funnel. (Note: Candle stick holders are not included. 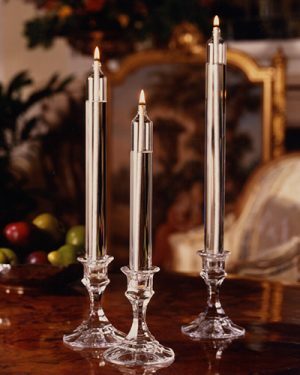 Candle stick holders shown are for display purposes only.